A suicide bomber driving a truck packed with explosives killed at least 41 people at a busy market in southeastern Afghanistan on Tuesday, the deadliest attack in the war-torn country for months. The huge blast in Urgun district of Paktika province came hours after a remotely controlled bomb targeted a presidential palace media staff bus in Kabul, killing two and wounding five. The explosion at Urgun also destroyed dozens of cars and shops, Hamkimullah, a witness, told AFP. "There is no room in the hospitals for the victims. 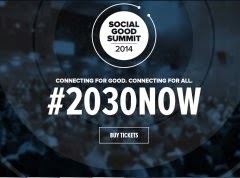 People are treating the wounded people on the streets," he said. The blasts highlight the fragile security situation Afghanistan faces as NATO progressively withdraws its 50,000 remaining combat troops, leaving local forces to battle a resilient Taliban insurgency. Afghanistan is also in a delicate state politically, with the two rivals to succeed President Hamid Karzai only narrowly avoiding a crisis at the weekend over allegations of electoral fraud. Karzai´s office said in a statement 41 people including six children and the imam of a mosque were killed and 67 wounded in Paktika. There are fears the death toll could rise -- the spokesman for Paktika´s governor, Mokhlis Afghan, said 43 had died. KABUL: Taliban militants set fire to over 400 oil tankers, which they claimed were supplying foreign troops in Afghanistan, in an attack on the outskirts of Kabul, officials said Saturday. The fire triggered by a bomb set ablaze tankers waiting to enter the city in a parking lot west of the Afghan capital overnight. "At around 10:30 pm last night, hundreds of fuel tankers belonging to private companies caught fire," Hashmat Stanikzai, Kabul police spokesman told AFP. "No one can come close to them since the fire is still raging at the scene," Stanikzai said. No casualties were reported as fire fighters tried to control the fire in the morning, he added. "I was sleeping in my truck, when I heard three big bangs. After that I saw the fuel trucks exploding one after the other. I fled the area immediately," Janat Gul, a truck driver told AFP. 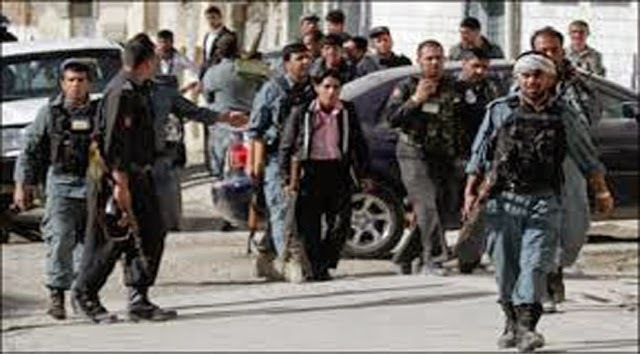 Gul Aghan Hashimi the Crime Investigation Director of Kabul police said "it was a magnetic bomb that caused the fuel tankers to catch on fire," adding that the trucks belonged to private companies. However, it was unclear whether the trucks were supplying fuel to NATO. A NATO-led International Security Assistance Forces spokesman told AFP they were "looking into the incident to determine if any of the fuel destroyed in Chawk-e Arghandi last night was intended for use by ISAF forces. "Taliban militants who have been regularly attacking western supply convoys in Afghanistan, claimed the responsibility. 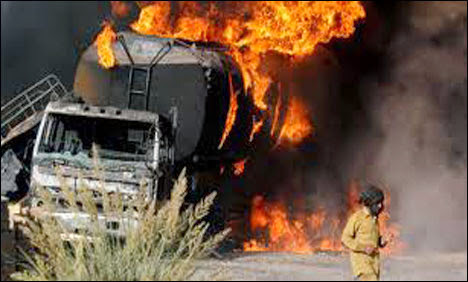 "Our brave Mujahideen fighters in a special tactic have set ablaze hundreds of fuel tankers in the west of Kabul, which were supplying fuel and food for foreign forces," Taliban spokesman Zabihullah Mujahid said a statement. Taliban have stepped up their attacks recently as the NATO forces complete their withdrawal by end of this year. On Thursday, the Taliban insurgents fired rockets into Kabul airport destroying the Afghan president´s parked helicopter and damaging three other choppers. Eight military officers were killed the day before in a suicide bombing attack on an air force bus. The Afghan capital has been relatively peaceful since the presidential election on June 14, though there have been street demonstrations as politicians are locked in a dispute over vote fraud. All NATO combat troops will leave Afghanistan by December, with about 10,000 US troops staying into next year if the new president signs a security deal with Washington.